Please note regarding elevator lift access: If there are 2 units of the same size with different prices, the lower priced option does not have access to the lift. 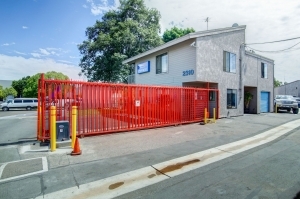 If you live in the San Ysidro area and are looking for a clean, affordable and convenient place to store extra belongings from your home or office, you've found the placeâ¦we guarantee it! 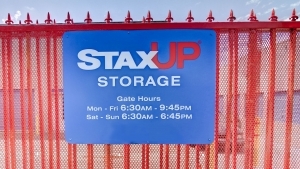 StaxUP Storage is a state-of-the-art storage facility. 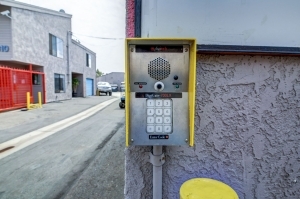 We have advanced surveillance & security, along with the most affordable pricing in the area and VIP pricing on all packing supplies. Wait in empty office, unit not swept, building door broken. Wait in empty office, woman who handled my paperwork, could have presented better customer service. She did not say thank you, customer service 101. She said, there you go, you're all set. She wrote gate code in door code space, so I did not know I had the gate code, despite instruction from another employee. The unit was not swept out. Many missing lights in the hall. The building door does not appear to close, which means, you can't secure the area using the lockpad on the outside building door. The last two factors present safety risks. Unit price is economical. Restroom and office were clean. Great price and good size for the spaces! It was the most affordable storage i could find. Great customer service, very helpful! Great customer service!!! I would definitely recommend this storage unit. 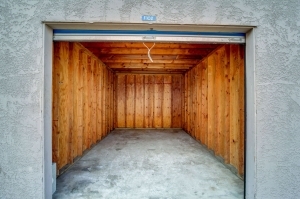 minimalist storage facility with great price, perfect for me. I need a storage to put my stuff. Helpful staff and easy rental process! Laura made sure that I got exactly the unit that would suit me. Great facilities with personable and knowledgeable staff! The staff was very friendly, knowledgeable and accommodating. It's not a shiny new building with finished walls and air conditioning, but it's no worse than most people's garages!! It works, and for what we use it for it works GREAT. 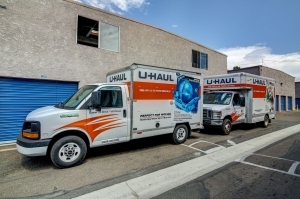 A super value, right off the freeway & close to the trolley, and an extra special bonus is the BEST front desk representative I have EVER worked with in over 20 storage experiences with Uhaul, ExtraSpace, Public Storage, & others. Laura (I think that's how it's spelled) was quick, efficient, bright, and so sweet & personable. Not something you normally see at self storage, but you can tell she loves the public, helping people, and solving problems! Bi-lingual too if u need it! You know someone has people skills when she can deliver bad news, but still come across like she cares. They honored a 50% deal when I upgraded to an elevator accessed unit. That was the only downside overall with the facility, as they offer 10 x 10 units or bigger on the second floor with only stair access and don't mention it in the units description. I emailed and uncovered it as part of my pre-arrival contact. They may want to disclose that up-front in the rates/sizes online selection. So I had to give $10-15 more a month to get the elevator building as I was filling up a 10 x 10 with more stuff than I would have wanted to walk up and down stairs with (ceilings are high too)! They minimized the bad news by transferring the online discount I had gotten in the original reservation. They didn't hesitate. I like that front-line decision making and not having to go thru a lot of management levels!!!! I'd give them a 4.5 rating overall for the lack of elevators for some of their units, but Laura was worth pushing it to a full 5!!!!!! Price, value & a smile..
First of all Laura had to be the most efficient, bright, & pleasant front desk person at any storage facility I have ever been at. The property isn't modern, but functional and great for the price. Just make sure u ask for an elevator unit if u get something as big as a 10 x 10. Its just one flight of stairs, by still extra work. Otherwise it's as good as any other storage facility as any!!! Everything was fine except that I didn't have time to check out the facility. I was disappointed that the doorway to unit and hallways were narrow. Lesson learned. Felt uneasy leaving my belongings there when first saw broken tvs then was assured they were just items needed to be thrown away. I pray everything is still there. Not in the best part of town but very secure. Great customer service and great prices! Good storage :) good prices, convenient location. Needed a cheap convenient place for temp storage and this was great. Got the cheapest one. Paid a $25 fee and got a Month free. Very helpful friendly service. However, I will say that they were helping me and the guy took a phone call. I wish they had put the person on hold since there is a customer right in front of him... So I had to wait to be helped even though he was already helping me buttt he just took that 6 min call. 6 mins is a long time when you are just standing there and you were first. Just saying. Customer services made for a smooth transition in my moving into a space. I appreciate the staff's patience in handling three customers walking in at the same time. It moved right along. They showed me a reserved space and allowed me to upgrade to a size larger that met my needs. Could use a good cleaning. Understand please I worked at an older facility and a good cleaning of the ground was done weekly. Makes property look more appealing. The service was good, helpful people. Overall I the place is dirty but cheap. The main doors to the units are held back by strings and most main doors look like its a code imputed lock but its fake since if you open the door there are no wires or backing on the lock. Great Customer service.Nice and friendly staff. A good place, sometimes a bit of traffic where the streets are closed for the parked cars on the roads to long. Good location away from business and yet remains secure. Love this storage they know how to take care of their customer and try to make what's best for us. I love the work they do. They help people who they needed to put their stuff away. Great customer service very nice people. I really would recommend to my friends and family. Thank you for the things you do and such a wonderful team work. Very friendly and efficient reservation service. I had booked a reservation online. When I got there I was interested in looking at other options because I didn't know that my reservation did not include elevator access. I saw 2 other units and the price was more understandable since one had elevator access and the other was on the 1st floor. The receptionist was very helpful suggesting the 1st floor unit since it was a good deal, and it was, but after looking at my reserved unit I knew it was the best deal. The flight of stairs wasn't very high and my unit was the very first one by the stairs. EASY ACCESS! The staff member who showed me the unit was friendly as well. Very fast and not pricy! But he second floor storage should have some ventilation it gets impossible to breatge when you are up there! Custome. Servuce rep was excellent. Loved the sevurity going in snd going out. The unit was realky cleabed. Cheap, you get what you on for. If you don't mind storing your place in an old building which I do not, then this is place. It's the cheapest place for a 5 x 10 unit I could find in San Diego. They cameras on site so that's good and they offer insurance at a reasonable rate. The facility has cameras but the fro t gate is currwntly broken. Not necessarily the gate but the bar that allows cars in and out. Would also be better if the facility was climate controlled. But not bad at all for the price. This place is great if you want to spend as little as possible. There are zero frills here though. No AC no elevator, broken security gates. The girls were very helpful to us,we looked at a couple of units but settled on the first one we originally reserved. Very easy to move in and felt my things will be secure! Very rude, not helping at all. Tslking on the Phone make waiting until finish her petsonal calls. The staff made everything fast and easy. I would highly recommend this storage facility. It had the best prices and they made it easy for you. The two ladies behind the counter were very nice. We walked in with the reservation from one place, found out it didn't have an elevator. We asked about another unit and we found one the cost only a little bit more. Very happy with the price, location of the unit, and the customer service. The maintenace man was a bit rude. Other than that it was great.Best prices in town and good security. "The assistant manager was nice and very helpful. I arrived late and he went out of his way to help me out on parking my trailer". Very friendly service and price is great. I would recommend this facility to anyone. Thanks. Great facility, super inexpensive. Paperwork takes a while (and I was accidentally assigned an occupied unit so I had to do everything twice), but overall a very good place for storage. The girl at the counter was courteous and the only thing that I didn't care for is all the paper work I had to sign when in fact I felt the pressure of closing time. It would have been nice to get all the paper work in advance since I like to read everything that I sign. 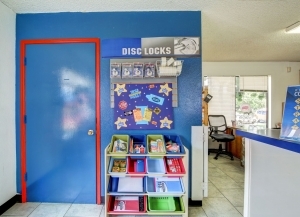 The staff here are very friendly outgoing and always willing to help with any storage needs. 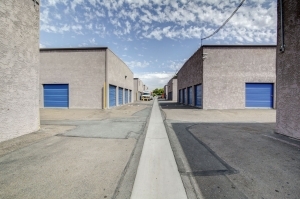 It's for sure the busiest storage property with a lot of traffic. Guys do a great job to keep up with trash. Happy here. Smooth move in from beginning to end... (On-line/On Phone/In person...ALL OF IT). Very helpful and friendly staff. Very informative. They have trucks available and even very inexpensive storages on 2nd level... Not as hard to get in as thought would be. (A story)---Someone had left trash in my storage from the time it became available to me to the time I arrived back on site. The gentleman (cleaning) noticed a look on my face as I was walking to the office and offered his assistance. He got the items out immediately! I would Definitely rent a storage from here again!!! Clean guy did not do his job. He gave me locks that were pre-opened. 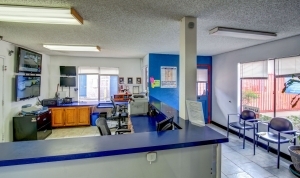 32$ for a 5x5 is a really good deal, the location is ideal, and is close to the border. Someone is almost always on site and Manager lives there. Karen and Monique were very helpful and easy to work with. 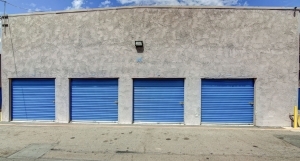 I found this company listed on a self-storage directory site. They had great prices and I was currently very unhappy with my public storage experience. When I arrived 2 very efficient and helpful young ladies answered all my questions and even offered up a unit that was drive-up that was on special. PS had just raised my rates after only a couple of months, these guys don't hit you with a rise as long as you are there! So far I have been very happy I found them. Karen was really friendly and easy to talk to. She answered all our questions and let us know if we have any problems we could contact her at any time. first time renting a storage and pretty satisfied. great staff and very flexible schedule. It was a great experience, the manager was very professional and courteous. 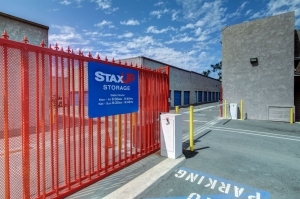 Honestly, i had a very difficult time, but thanks to Staxup storage service made my weekend go smoother. Thanx..
Gets the job done. Could have used a dolly to get from elevator to unit. Well, everything came out as expected! Was very happy with service and help. Is reall good I had a great pleasure with this experience. Thank you keep with the good work. So far so good! The price is great, the managers live on-site (which makes me feel better), the employees are very nice and easy to deal with and The facility is nicely kept! Totally check it out! 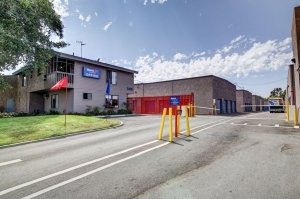 It is an older facility but adequate for storage. I was treated with courtesy, professionalism and respect. Prices are competitive and an outstanding value, especially against larger storage providers. I'm happy and impressed. I went and reated a unit here. Wanted a smaller one, was told that at the end of the month one may be availiable. So I reanted a larger than what I needed unit. At the end of the month not only did they not have a smaller unit, but the price had increased. So I'm forced to keep a unit twice the footage I really need. The woman that helped me answered all of questions nicely and made sure I got the discount I was offered by sparefoot.com and International Storage is the cheapest I have found, the also do price matches.. I couldn't beat it.